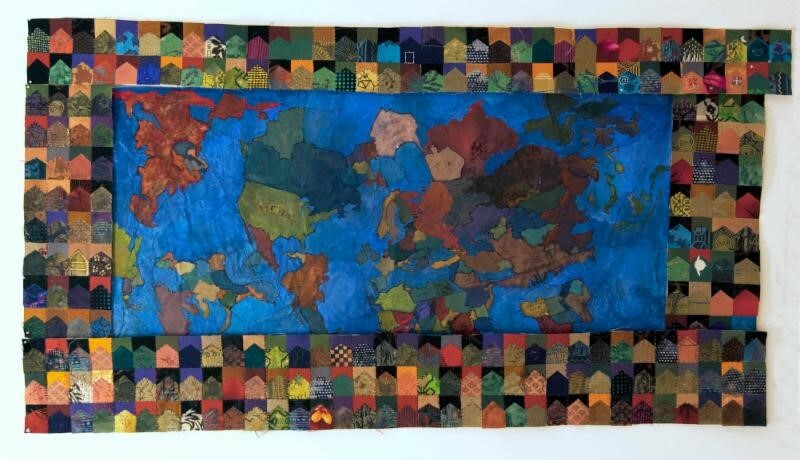 Join Artist Clara Wainwright in stitching together a quilt of the world. Beginning February 8th through March 1st at Gallery Kayafas. Participation welcome on any or all the days!